iPhone 6 Wallpapers: Where I got best iPhone 6 wallpapers? iPhone 6 HD Wallpaper help!? Anyone suggest change live wallpapers for iPhone 6/6 Plus? These are the most common questions posed by iPhone 6 users on Yahoo Answer. Given many a user has trouble in finding and changing iPhone 6 wallpapers, here I would like to present the solution on searching and changing wallpapers for iPhone 6/6+ as well as iPhone 5S/C/5, iPad, iPod, iOS 7, iOS 8 devices with a desire to let you customize your iPhone 6 or iPhone 6 Plus with the easiest way. Tips: supposing you yearn for converting your JPG, JPEG, BMP, etc iPhone 6 backgrounds to a vivid photo slideshow video, here humbly suggests you to use a solid video converter to convert your iPhone 6 wallpaper images to a wonderful photo slideshow video with various dynamic effects offered and fair-sounding music added as you prefer. You can capture images as iPhone 6 wallpapers or backgrounds from downloaded online videos and create a fascinating video with collection of awesome iPhone 6 wallpapers for sharing online with the aid of MacX Video Converter Pro. World's No.1 fast speed and no quality loss. Where to Find out Varied iPhone 6 Wallpapers (HD, 4K UHD or Live Wallpapers) ? *Apply apps (iTunes) to download wallpapers for iPhone 6. Here we shift our focus to the last two approaches since you should have an acquaintance with the first three ways. So let's access to the online website and iPhone wallpaper apps to download wallpaper for iPhone 6 (Plus) in HD or 4K Ultra HD. The 1st wallpaper for iPhone 6 (Plus) is a HD iPhone wallpaper which can be easily captured on iPhone6hdwallpaper.com-the professional HD wallpaper site for iPhone to offer you with sorts of iPhone 6 HD wallpapers, such as abstract iPhone 6 backgrounds, animals wallpapers for iPhone 6, cute iPhone 6 wallpapers, etc. You can download wallpapers for iPhone 6, iOS 8 free of charge. The 2nd and 3rd iPhone 6 backgrounds wallpapers are the 3D dynamic wallpapers for iPhone 6/6+ as well as iPhone 5S/C/5, iPad mini retina/Air, which will make your iPhone 6 look much more vivid and interesting. Go to iPhone6wallpaper.org or download an award-winning app called 3D Dynamic Wallpapers from iTunes to enhance the look and feel of your iPhone 6 by selection of specially designed iPhone iPad iPod backgrounds, blurred iPhone wallpapers, funny live wallpapers for iPhone iPad and many other eye candies. For those who usually edge themselves into the bandwagon that closely follow the fashion trend of iPhones iPads HD wallpapers, the last two stunning wallpapers for iOS 7 & iOS 8 shouldn't be missed. Eager to know the best wallpapers of the day, the most popular daily top 24 wallpapers for iOS 7&iOS 8 devices? Log in freeiOS7 or free download Wallpapers HD for iOS 7& iOS 6 and then you can free download the animated wallpapers for iPhone 6, iPhone 5S, iPad, iPod with sharp image from their ranking lists. 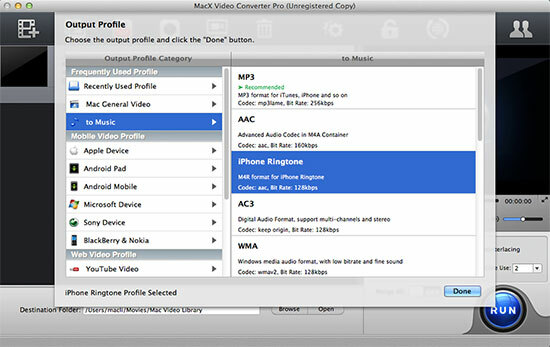 Note: In the event that you want to download and extract the cute image from YouTube as your iPhone wallpaper, here the all-round MacX Video Converter Pro cuts the buck at this point that after fast downloading YouTube videos, it can authorize you to capture any desired image with crisp image in just a click way while playing back on its built-in media player. 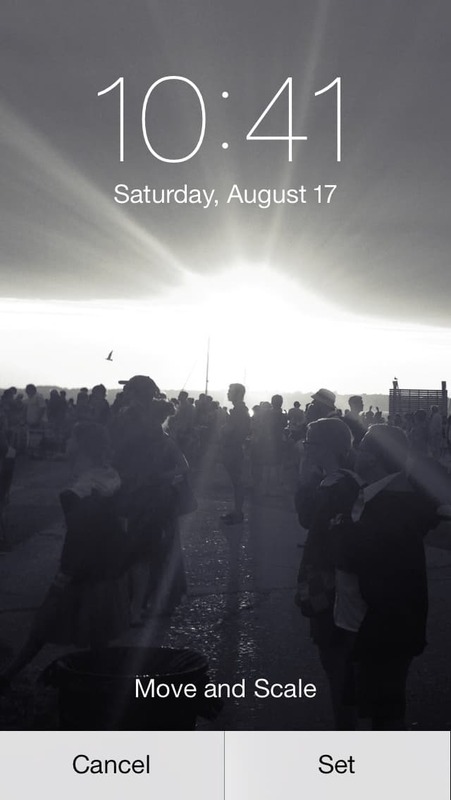 How to Resize and Change iPhone 6 Wallpaper in iOS 8? After obtaining the fascinating HD wallpapers for iPhone 8/7s/7/6s/6, whether you can't wait to sync it to your iPhone 6 as your wallpaper (home screen or lock screen) ? Well, now let's change the wallpaper for iPhone 6 (plus) and get it customizable. Yet, before we call it started, it might as well take a close look at the right size for iPhone 6 as well as its siblings. Tip for resizing iPhone 6 wallpaper: Providing the background you consider to use as your iPhone 6 wallpaper is not suitable with your iPhone 6 due to the improper size, then do your wallpaper manipulation elsewhere in, Lightroom, Aperture, Photoshop or whatever other preeminent image editing apps you utilize. With limited time and energy, here just illustrates you the specific process of how to change wallpapers for iPhone 6, but remember: to change wallpapers for iPhone 5S/C/5, iPads, iPod and iOS 7, iOS 8 devices, it's much of a muchness. Step 1: Get the image on your iPhone 6 and go to your home screen and tap the Settings app. Step 2: In Settings, tap Wallpapers & Brightness and then press the images under Choose Wallpaper. Step 3: Choose the image you desire to use from Apple Wallpaper (Dynamic backgrounds included); Camera Roll; My Panoramas and other photo folders. Step 4: Hit Set after selecting the wallpaper or Cancel if you change your mind. Step 5: Decide whether you want the image for your home screen, lock screen, or both. Click the option you prefer, or tap Cancel as you like. How about Making iPhone 6 Ringtone? Until now I bet you may understand more about how to download and change iPhone 6 wallpapers and iPad, iOS 8 wallpapers issues, but some other problems like how to make ringtone for iPhone 6 still haunt you a lot. Don't be bothered, buddy! The multi-purpose iPhone 6 Video Converter is still your trustworthy friend that it is world-renowned as the best-ever iPhone ringtone maker to convert any video audio file to your iPhone 6 (Plus) ringtone format as well as the compatible AAC, MP3, AC3, etc. with original audio quality. More reference: Done a good job in iPhone 6 wallpapers, this top-ranking video converter for iPhone 6 (Plus) also surprises you at its excellent knack to convert both HD and SD video to iPhone 6S/6 Plus, iPad mini 4 (Retina), iPad Pro/Air, iPhone 5S/C/5/4S, Galaxy S5/Note 4, Surface Pro 3, HTC One M8, etc. including MP4, MOV, AVI, FLV, WMV, MKV, AVCHD, MTS, converted to any mobile or tablet device with world's No.1 fast speed and 98% quality reserved. Top Free Movie Apps for iPhone 6 Fans!